HALBAN The new academic winter semester 2018/19 will start on Sunday, 30th September at the GUtech. 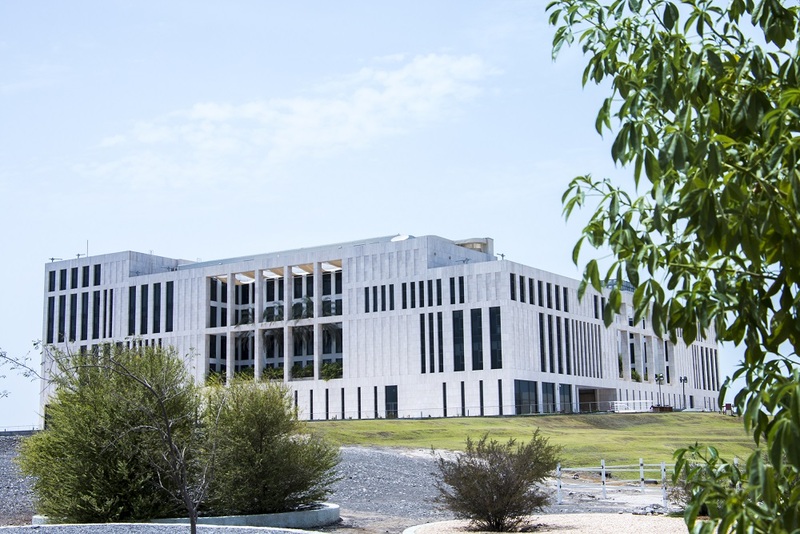 Over 2,000 students will start their next semester, including a large number of Omani and international students, who are expected to begin their studies in the GUtech Bachelor Programmes and in the Pre-University Programme, GUbridge. The Orientation Days for new students of the Pre-University programme and the Bachelor programmes will be held on Thursday, 27 September. “I remember my own academic career. The start of the university studies is closely linked to a new chapter in life. We are looking forward to welcoming a new batch of students as well as new academic staff members and interns that will join us from all over the world. GUtech fosters intercultural exchange. We believe we can all learn and grow from each other’s cultures and perspectives. We expect all students to work hard. We wish to push them out of their everyday comfort zone to increase their knowledge. In terms of social life, the university offers many activities from sports to theatre and media clubs,” said Prof. Dr. Ing. Michael Modigell, Rector at GUtech. Prior to the Orientation Days for students, the annual Professional Development Days (PD days) for administrative and academic staff members and for interns will be held. The PD days are conducted in order enhance the professional knowledge and soft skills. Regarding the infrastructure, the university has been growing continuously throughout the past ten years. “This year we will inaugurate a new building with lecture halls and architecture studios as well as an accommodation building for approximately 450 students,” said Prof. Dr. Ing. Michael Modigell. GUtech is affiliated with RWTH Aachen University (Germany), one of the leading universities of Technology in Oman. The university offers various full-time BSc and BEng programmes in Environmental Engineering, Process Engineering, Mechanical Engineering as well as in Applied Geosciences, Urban Planning and Architectural Design, Logistics, International Business and Service Management and Computer Sciences. All programmes are taught in English. The university will launch Master programmes in the summer semester. 24-4-2019: Guest Speaker Event: "Research Projects and Initiatives of Environment Society of Oman"
24apr11:00 am1:00 pm24-4-2019: Guest Speaker Event: "Research Projects and Initiatives of Environment Society of Oman"
OSTC Club invites you to attend a lecture by guest speaker Ms. Aisha Al Ghallabi. The topic of the lecture is about “Research Projects and Initiatives of Environment Society of Oman (ESO) Since 2004 and the Future Conservation Efforts” .